It’s Valentine’s Day and Sony is showing some love to the PS3 with a Firmware update. PS3 Firmware v4.84 is now available to download, featuring stability updates for the console. Sony has release PS3 Firmware v4.83 today, which is a minor update to the console featuring stability improvements. The update is mandatory if you wish to play games online, so you may want to update your console before going online. A new minor firmware update has been released for the PS3, updating the system software to v4.82. The PS3 hasn’t had a major firmware update since 2013, but it’s good to see Sony is continuing to patch the PS3 to fix bugs and security issues. The update is mandatory, and is required to access the PlayStation Network. 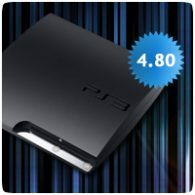 A new minor firmware update has been released for the PS3, updating the system software to v4.81. The update is mandatory, and is required to access the PlayStation Network. The changelog states that this update improves system performance. Along side today’s PS4 firmware update, Sony has released a new firmware update for the PS3. The new PS3 firmware updates the system software to version v4.60 and simply improves system stability during the use of some features. The update is 197 MB in size and is required to access the PlayStation Network. The PS3 has received a firmware update, updating the console’s system software to version v4.55. The update is just a minor one, improving system stability with the use of some newly released games. The update is mandatory, so you’ll need to install it should you want to play online and access the PlayStation Store. Sony has released a new minor firmware update for the PS3, fixing system stability issues with some games. The update is optional to download, but may be required when playing certain new titles. The previous update, Firmware v4.50, was a larger update adding privacy options to trophies and adding Closed Captioning support to Blu-ray movie playback. The official changelog for PS3 Firmeare 4.50 has been revealed, and allows all users to now take advantage of automatic updates – a feature that was previously exclusive to PlayStation Plus subscribers. The changelog for PS3 Firmware 4.46 has been revealed, confirming the minor nature of the update. The new update added an option to hide trophy notications, and also fixes a bug with the XMB not displaying after system updates.